What could be simpler or more scrumptious than a baked peach? My sis-in-law, the aforementioned Alice, dots the top of each peach half with butter and brown sugar. In the version here, Jamie Oliver stuffs ‘em with raspberries. Works wonderfully with vanilla ice cream and caramel sauce, also found in Sydney Food. Apartment Therapy’s the kitchn offers a grilled version, topped with bourbon vanilla whipped cream, for you outside cooks. Eeeeeeeek fleas on the grass at Temescal Pool!!!! Thanks for the heads up. I know, how icky is that? I’ve arrived! I’ve been Lettuce Eat Kale’d! For the topping, I improvise on whatever crisp topping recipe I come across. I like an “oatey” topping so I usually increase the amount of oats called for. One time when I was making a topping, I didn’t have the walnuts called for so I put in sliced almonds instead. I’ve been doing it ever since. Belated online thank you, Marge, for sharing your divine dessert with us — and your inner Martha moments. Oh my goodness, everything in this post sounds delicious, Sarah. I have zero time for baking or cooking, but this beautiful blog of yours is encouraging me to make time, especially with the bounty of fresh fruits here in northern Michigan. What a delightful blog! I will write about it to my readers too! I totally remember the Cooking Light Blueberry cakes. Not sure when this one you write of was published. Long ago, in my days before Ava, before The Lemon Lady adventures, I loved to throw dinner parties and bake all night long. Early morning, all day some weekends. 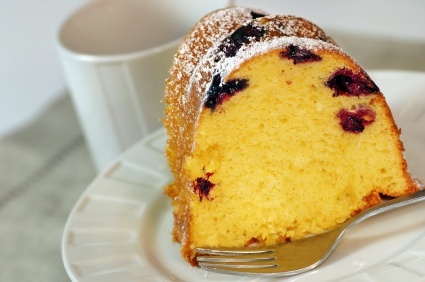 Cooking Light published one of the best ever Blueberry pound cakes. Ahhh…I easily baked a hundred of those in my lifetime. Someday again…I’ll bake another. Being a total fruit lover, this is really sounding fabulous. Problem is, I have to bake it or cook it all…unless I move to Berkeley, that is. Then I’ll just pop in for a visit.